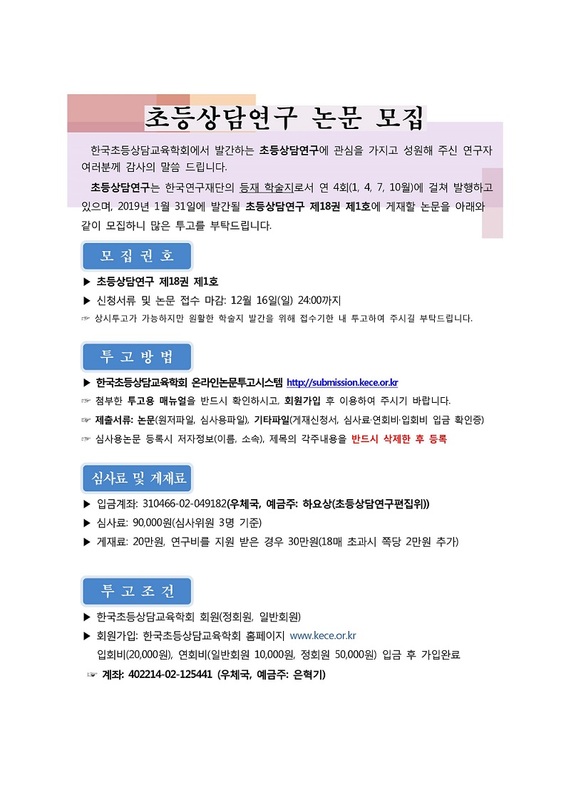 문의사항은 편집위원회 이메일(kece2018@naver.com)로 연락주시기 바랍니다. Copyright 2009 the Korean Elementary Counselor Education Association. All Rights Reserved.